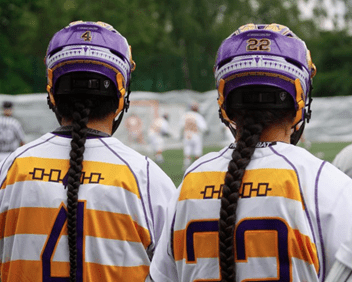 I don’t write about lacrosse here very often anymore, since I have a separate lacrosse blog. But this is an important issue and, dear readers, your help is needed. I’ve posted this article there as well. This entry was posted in Lacrosse, Sports on May 24, 2013 by Graeme. I was part of the inlaxwetrust.com writing staff for almost five months, and wrote 23 articles in that time. Here are links to all of them. I’m not posting this because I expect you, dear reader, to read any of them. This article is mainly an archive for my own use so that if I want to link to one of them, I can easily find the link here. However if you do want to read one or two, the Salaries of Lacrosse Players one was very popular (especially among lacrosse players! ), and the entry draft one too. My personal favourites tended to be the funny ones – I had fun writing the “looking forward” one (more satire than comedy; let me know in the comments (here – comments on that article are closed) if you’re one of the few that got the “price is right” joke) and the one about lacrosse movies. For more analysis and less comedy, I also liked the NLL Awards article. Update: In June 2012, In Lax We Trust changed hosting companies and became inlacrossewetrust.com. When that happened all of the archives were lost, and so none of the links below will work. I wish I had saved copies of the articles before this happened but I didn’t. As far as I know, all of these articles are gone forever. NLL Season Preview: Philadelphia Wings I investigate the personnel changes and preview the offense, defense, and goaltending of the Wings in the (then-upcoming) 2012 season. Other Stories from the NLL Hold Out List There was a lot of talk about the NLL Hold-out list because of the drama surrounding Anthony Cosmo, so I made up some other stories. Teddy Jenner didn’t like this one. Salaries of Lacrosse Players Probably my most popular ILWT article – several NLL players retweeted the link to this one. I compare the salaries that NLL players make with those of other pro athletes. Teachers and Firefighters in the NLL Almost all NLL players have jobs outside of playing lacrosse, but it seems that a lot of them are either firefighters or teachers. NLL Off-Season in Review: Colorado Mammoth Review of the changes made by the Mammoth after the 2011 season. NLL Off-Season in Review: Buffalo Bandits Review of the changes made by the Bandit after the 2011 season. NLL Off-Season in Review: Calgary Roughnecks Review of the changes made by the Roughnecks after the 2011 season. NLL Off-Season in Review: Washington Stealth Review of the changes made by the Stealth after the 2011 season. 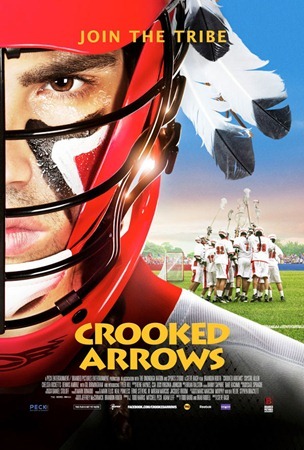 Upcoming Lacrosse Movies Some ideas for movies that could be made involving lacrosse. Another fun one. NLL expansion: Just say no Another writer suggested that the time might be right for the NLL to expand. I disagreed. A look back: Looking forward to 2002 Satirical article on how the future of the NLL might have looked in 2002. Trivia contest answers Former NLL player and current radio host Teddy Jenner won the contest. In Lax We Trust Trivia Contest A year or two ago I won a lacrosse shaft in a contest, so I came up with some trivia questions to give it away. Renaming the NLL Awards If the league were to rename its MVP, Rookie, Goalie, etc. awards after people like the NHL and others have done, who would they be? Behind the scenes at the NLL entry draft I enjoyed writing this mock conversation among the GMs at the entry draft. Parity in the NLL: Who do we make fun of now? Which team do we make fun of as the laughing stock of the league? There really isn’t one. The biggest surprises from the dispersal draft Some surprising picks from the Blazers dispersal draft. Farewell to the Blazers Kind of a post-mortem on the Boston Blazers. More New Rules Being Considered by the MLL The MLL announced that they were considering using lacrosse sticks with heads that lit up to indicate who has the ball. This was such a silly idea that I came up with some other potential silly rules the MLL might think about. Last year’s NLL blockbusters: John Grant and Matt Vinc Analysis of the trade that sent John Grant to Colorado and Matt Vinc to Rochester. Last year’s NLL blockbusters: Tracey Kelusky Analysis of the trade that sent Tracey Kelusky to Buffalo. Last year’s NLL Blockbusters: Josh Sanderson Analysis of the trade that sent Josh Sanderson from Calgary to Boston. Lax Links 8/5/11 My first article for ILWT. Marisa used to do a daily list of links to stories from around the lacrosse world, and she asked me to put the list together on that day. This entry was posted in Lacrosse, Sports on January 21, 2012 by Graeme. I announced back in August that I was joining In Lax We Trust as a writer, and ended up as co-manager and editor as well. I enjoyed my time at ILWT and wrote lots of articles. A few of them got lots of attention: one on lacrosse players’ salaries from November is still getting talked about. Some I really liked and had fun writing: a satirical one about what the “future” of the NLL might have looked like in 2002, an imagined conversation among GMs at the entry draft, and some fictional movies about lacrosse. In December I made the decision to strike out on my own, and created my own lacrosse blog, nllchatter.com. Around that time, I jokingly asked Teddy Jenner if they were hiring at ILIndoor.com, which is part of Inside Lacrosse magazine, and is pretty much the premiere indoor lacrosse blog anywhere. Rather than the expected “yeah, right”, Teddy told me to email Bob Chavez. I don’t know if Teddy was saying “That’s a great idea! Email Bob!” or if it was Teddy’s way of getting Bob to say “no” rather than doing it himself. I thought “what the hell, the worst they can do is say no”, and emailed him. He got back to me with a proposal, and now I can announce that I will be joining the staff at ILIndoor.com and will be writing a weekly column called The Moneyballers this season. My column will run every Monday starting on January 16. I am very excited about this opportunity, but very nervous as well. The Moneyballers is a series that has been on ILIndoor.com for a few years, and up to this year, was written by another legendary lacrosse writer, Paul Tutka. Tutka won three straight Tom Borrelli awards, so that’s a pretty tough act to follow. However, I am up to the challenge. But if you call me on a Sunday evening during NLL season, don’t expect me to answer the phone. This entry was posted in Lacrosse, Sports on January 5, 2012 by Graeme. How do you replace a legend, and one of the best players ever to play the game? We don’t know much at this point about what changes Terry Sanderson and Troy Cordingley might be considering for the Toronto Rock this offseason, but one thing’s for sure – they need a new #1 goaltender to replace the retiring Bob Watson, the only #1 goalie the Rock have ever had. How do you replace someone like Watson? With all due respect to Pat Campbell, he’ll be 35 next year and has been a solid backup goalie most of his career, so I don’t see the Rock tossing him the keys to the franchise. The Rock have had a definite #1 goalie for their entire history so I don’t see them going the route that the Bandits and Stealth have used – having two main goalies and “platooning” them (to steal a baseball phrase), so going with both Campbell and Gee Nash is unlikely as well. Not going with Campbell or Nash means they will have to try to acquire someone from another team. I don’t have of a list of goalies who are free agents this summer, so let’s ignore that route for the moment and just assume we’re talking trade. The top goalie on the “would be nice” list would have to be back-to-back Goaltender of the Year Matt Vinc. Suuuuuure. The Knighthawks gave up John Grant for this guy so unless we offer Doyle, LeBlanc, and a few prospects, he’s not going anywhere – and definitely not to a division rival. Mike Thompson? Suuuuuure. Thompson is coming off of a fabulous season in which he had the second-lowest GAA and third highest save percentage in the league. If Ken Montour is able to return from his injury, the Bandits may consider trading Thompson, but Stephen Stamp’s article about concussions didn’t give much reason for optimism there. I hope I’m wrong about that. Brandon Miller from Philly? Maybe, although he was one of the few bright spots in Philly this season and was the reason they fought for a playoff spot as long as they did. Anthony Cosmo? Possibly – he had the lowest GAA in the league last year though I wouldn’t call it one of his better seasons. It’d be ironic if Cosmo actually did replace Watson in the Rock net, like we thought he would many years ago. Cosmo himself mentioned that possibility recently in an interview with ILIndoor.com. So what about Edmonton? I’m sure they wouldn’t mind some extra firepower given that they traded Gavin Prout back to Colorado. But which Edmonton goalie to choose – Matt Disher or Rob Blasdell? Ummmm… no thanks. Chris Levis from Colorado? Another “Suuuuuure”. After years of mediocre goaltending the Mammoth finally have a strong #1 so I don’t see them trading him, though they could also use some help in the offense department. (Aside: It seems unbelievable that a team that just acquired John Freakin’ Grant still needs help on offense.) How about Washington? I didn’t think Tyler Richards had that great a 2011 season, but he was certainly the second-best goalie in the playoffs. But how likely are the Stealth to trade him to the team that beat them in the finals? Similar to Calgary, they’re a strong team to begin with, so what could we offer the Stealth for them to give up Richards? Would Minnesota give up Patterson? I doubt it, though I know nothing about Kevin Croswell – if they have enough confidence in him, maybe they would if they got enough in return. That’s a team that should have made big changes in the off-season last year and didn’t, so perhaps a big shake-up would be good for the Swarm. There are lots of possibilities here, some of which I can’t address properly because I don’t know much about the backup goaltenders. Philadelphia backup goalie, Ray Hodgkinson, is only 23 and only played 46 minutes this year. But maybe the Wings think this kid is the next Dallas Eliuk – if they have enough confidence in him, maybe they would give up Miller for the right price. Hell, for all I know the Rock have some young goalie in their system (is there such a thing as a “system” in the NLL? It’s not like there are AAA affiliates like in baseball, or the OHL/AHL like in hockey) that is the heir apparent, though I’ve never heard mention of one. So we have a few “maybe”s and a few “not bloody likely”s, but there aren’t really any “no chance in hell”s. (In a league where Gary Gait can be traded three years after retiring, nothing’s impossible.) But trades run two ways – the other question would be “Who could the Rock give up to get a #1 goalie”? Doyle, LeBlanc, and Billings are untouchables. Blaine Manning is a possibility, or maybe a rookie with potential like Aaron Pascas or Rob Hellyer. (Or more likely, the combination of a Pascas and a veteran like Manning or Cam Woods.) It’s not unlikely that a team trading away a goaltender may want defense in return rather than a goal scorer, so perhaps 2010 NLL Defender of the Year Sandy Chapman (though I’d prefer if he were untouchable as well), or hard workers that get little fanfare like Drew Petkoff, Jeff Gilbert, or Creighton Reid. Trade speculation is fun but ultimately pointless, as there are a zillion factors that we as fans don’t know about that affect whether deals can be made. Are there no-trade contracts in the NLL? If not, could there be “gentlemen’s agreements” between players and GMs that effectively mean the same thing? Are there personality conflicts between players or between a player and a GM that mean that some trades are impossible? Are there players who might simply refuse to be traded? Since this is a part-time semi-pro league, it’s certainly possible that a player may decide that travelling across the country for the majority of games is just too difficult with work or family commitments, and would prefer to retire than be traded to a team on the other side of the continent. I remember a rumour that the Rock were not allowed to trade Dan Ladouceur because of his position with the Durham Region Police. The Rock need a new #1 goalie. I don’t know who they should get. I don’t know who they should give up to get him. My work here is done. This is why the NLL Blog pays me what they pay me. This entry was posted in Lacrosse, Sports on May 22, 2011 by Graeme.